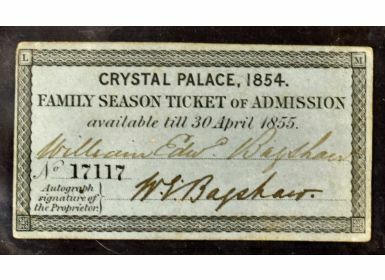 Exhibitions - Crystal Palace, One Year Season Ticket 1854 - Made out to a William Edward Bagshaw and signed by him. With security printed border on card, size 3¼” ´ 1¾”. 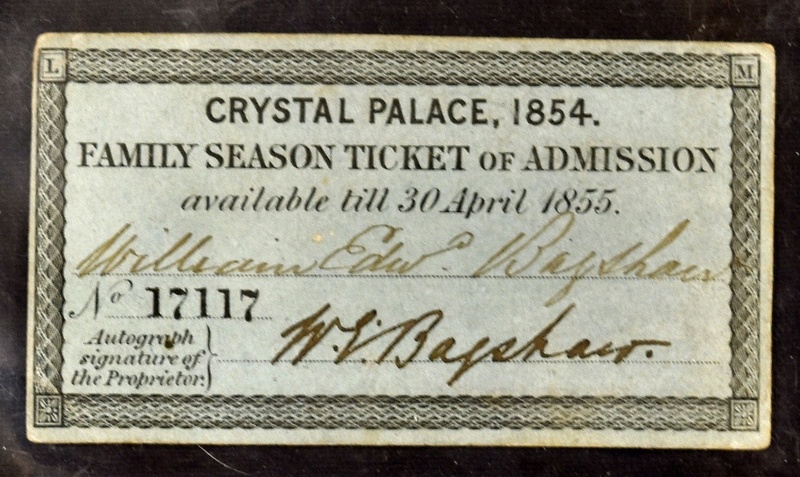 An interesting Season Ticket as this was the first year of the opening of the larger Crystal Palace at Sydenham.